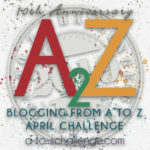 This is my 4th year participating in the A-Z Challenge. I am writing about people who were born into slavery and lived to be free. I was looking for one of my enslaved ancestors named William Graham when I found an 1860 estate file on Familysearch.com for Judge William A. Graham with a list of slaves to be divided between his heirs. I hoped my great grandfather was one of those named. I decided to go through the list of 60 plus and see what I could find out using online records. I still don’t know if the William on the list is mine or not, but it has been interesting to find out what happened to those listed after they were freed in 1865. Nelson Graham was born into slavery in Georgia. Both of his parents were born in North Carolina. Caroline was born into slavery in Alabama. Her parents were also born in North Carolina. They ended up on the plantation of Judge William A. Graham in Autauga County, Alabama and appear on the 1860 estate list. They appear in lot 1 with their three youngest children, six year old Sallie, five year old Duncan and one year old Fanny. They were to go to Judge Graham’s daughter Eliza Fay of Autauga County. Two of their older children, eleven year old Caroline and thirteen year old Nelson were included in lot 5. They were to go to Judge Graham’s daughter Maria McLemore of Autauga County. Twenty year old William was in lot six which went to Judge Graham’s son Alfred Graham of Rusk, Texas. Seventeen year old Henderson was in the undivided group. Nelson and Caroline’s family as they appeared on the Estate List. The amount they were valued at is in the last column. In 1870 Nelson and Caroline were living in Montgomery. Five of their children were living with them; Caroline, 20; Sallie, 16; Duncan, 14; Fannie, 8 and five year old Elsie. Nelson had no occupation. Caroline was keeping house. No one in the household could read or write. In 1880 Nelson Graham and his family lived on Peacock Track in Montgomery. Of their children, only their 21 year old Fannie still lived at home. There were four grandchildren living with them – thirteen year old Willie Graham, six year old Duncan Wilkerson, five year old Sarah Powell and three year old Irene Holtzclaw. Nelson worked as a drayman. Fannie was a house servant. The two older grandchildren were in school and the two little ones were at home. Caroline did not work outside of the house. Neither of the parents were literate. Fannie and Willie were. Nelson appears in the Montgomery Directory in 1883 and 1893 as a laborer living on Peacock Track. After that I cannot find him or Caroline. Ah, these elusive lives, so insubstantial when they seem to slip through our hands. But Nelson and Caroline Graham had eight children in slavery, lived 40+ years in slavery, and Nelson lived at least 33 years in freedom. Long, hard-working, productive lives. Hope their great-grandchildren feel that strength and endurance behind them. I hope they do too. I hope they remember what their ancestors lives were like. 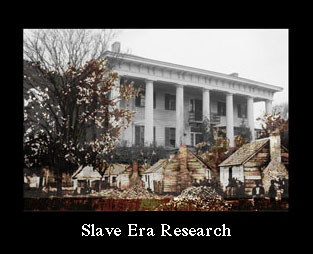 The whole system was so cruel and not at all laid out for the benefit of the enslaved but for the profit of the owners. To have your family torn apart must have felt like the final blow. I hate seeing families broken up over and over again from slavery. Breaks my heart every time. Good to see most of the children reunited in 1870. I was glad to see that too. The older ones may have been in the area but married and on their own. You certainly have your work cut out for you, tracing those ancestors who were enslaved. But the joy you must have when you find them! And the joy they must feel, wherever they are, when they know you are looking! 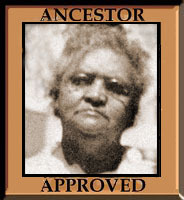 This particular family aren’t my ancestors but I have traced three lines back into slavery. It was very emotional to find my 2X great grandparents and their children being handed around in wills or to see them mentioned in notes to the overseer. I was very glad to find them, but I felt so much sorrow and anger and hopelessness too.